Saltillo Spanish style tile patios are an easy way to add extra outdoor living space to your home. Installing Saltillo tiles is very similar to tile installation indoors. However, there are specific procedures to follow to properly complete the project. Use a concrete wash and a garden hose to wash the concrete. Let the wash sit on the concrete patio or walkway for several minutes (check the manufacturer instructions). Scrub the patio with a scrub brush to remove dirt, moss, and stains. Do a dry run to figure out the layout of the patio or sidewalk. This will help you determine how many tiles will need to be cut. Avoid placing any of the tiles on an expansion joint between concrete slabs. Instead, start and stop tiles at the edge of the joint. Tiles placed on top of expansion joints will crack, break, or become loose over time. Mix exterior grade thin set mortar. Apply the mortar to small areas of the concrete patio using the straight edge of a notched trowel. Once the mortar is evenly applied, use the notched edge of the trowel, at a 45 degree angle to remove the excess. Apply mortar to the back side of the Saltillo tile. Coat the concrete with mortar. Lay the tiles on the concrete. Leave tiles that need to be cut until the end. Use tile spacer between each of the tiles. Use a tile saw to cut the tiles which need to be cut. Apply with thin set mortar the same way the whole tiles were installed. Allow all of the tiles 24 hours to dry before sealing and grouting. Seal the Saltillo tiles with a pregrout tile sealer. Carefully brush the sealer onto the tiles before grouting. This will seal the tiles and avoid staining caused by grout or dirt. Do not brush the tile joints as this could cause the grout to not adhere. Mix the exterior grade grout that is designed for large joints. Apply it with a rubber float, making sure to fully fill each joint. Wipe away the excess grout with a large sponge and a bucket of water. Do this carefully so you do not remove more grout than is necessary. Fill expansion joints with a self leveling concrete crack sealer. This is more pliable than grout and will allow the expansion joints to expand and contract without ruining the grout job. 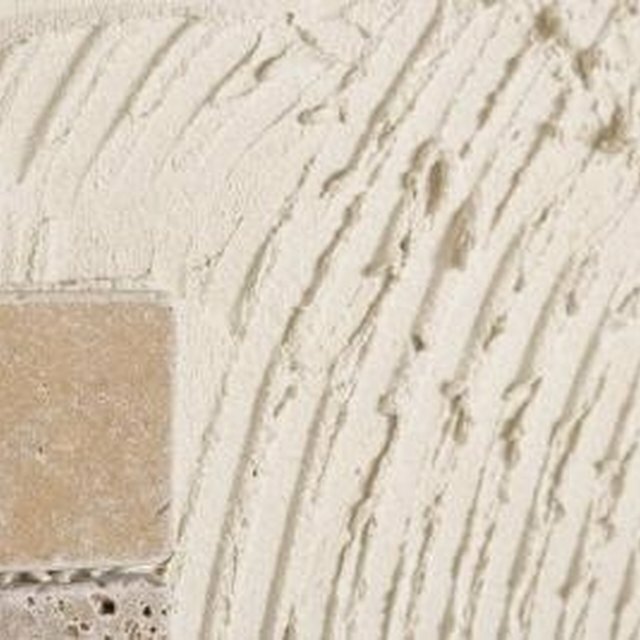 Pick a color of crack sealer that is similar to the grout color. Remove shoes when working with unsealed Saltillo tile. This type of tile can become easily stained from dirt before it is sealed.